After having no fatal crashes involving passengers in nearly three months, there have been two fatal crashes in the last week. 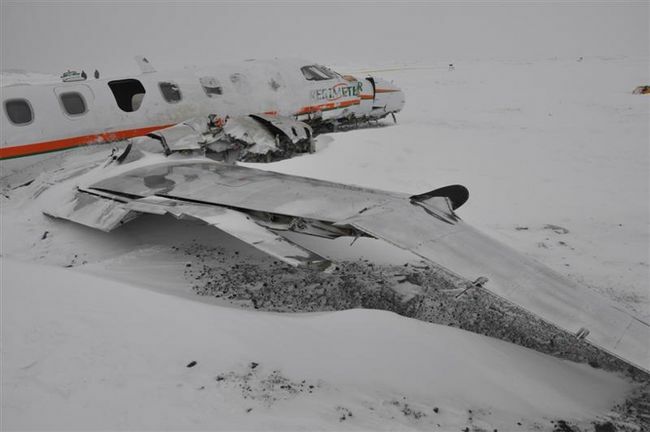 22 December 2012; Kivalliq Air Fairchild Metro 3; C-GFWX; Flight 671; Sanikiluaq, Canada: The aircraft was on a scheduled domestic flight from Winnipeg to Sanikiluaq, Canada, and crashed just short of the runway during a second landing attempt. There was limited visibility due to darkness and blowing snow at the time of the crash. Both crew members survived, but one of the seven passengers, a six-month-old boy being held in his mother's lap, was killed. This crash highlights an ongoing risk as safety issue, whether parents should use a car seat or other approved child restraint system rather than fly with a lap child. The most recent book by Dr. Todd Curtis, AirSafe.com Family Air Travel Guide, discusses this issue in great detail, and also provides extensive advice on ways parents can reduce or eliminate many of the problems families face when they fly. The book will be available later this week, and all subscribers to the AirSafe.com mailing list at subscribe.airsafe.com will be able to download a free version of this book, as well as other recent AirSafe.com book. 25 December 2012; Air Bagan Fokker 100; XY-AGC; Flight 011; Heho, Burma (Myanmar): The aircraft was on a scheduled domestic flight from Mandalay to Heho, Myanmar, hit a set of power lines during a landing attempt, and crashed about a kilometer short of the runway. 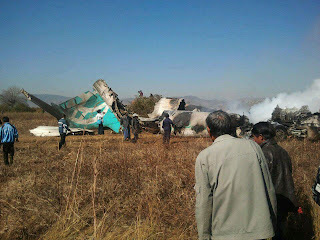 There was fog in the vicinity of the airport at the time of the crash. The aircraft broke up and there was a post-crash fire. All six crew members survived, but one of the 65 passengers was killed. A person on the ground was also killed.